Two scientists from the Chemical & Materials Sciences Divison have been elected Fellows of the American Association for the Advancement of Science and were recognized, along with three other PNNL scientists, at the Fellows Forum at the AAAS February meeting in St. Louis. Greg Exarhos is a Laboratory Fellow in PNNL's Fundamental Science Directorate. He is being recognized for "innovative research on charge transport processes in dielectric films and the use of light scattering methods to probe structure/property relationships." Prior to joining PNNL in 1980, Exarhos was an assistant professor at Harvard University. He is currently the associate director for interfacial chemistry and engineering in PNNL's Chemical & Materials Sciences Division and is the program coordinator for the suite of Basic Energy Sciences Materials Sciences projects within the laboratory. Exarhos earned a bachelor's degree in chemistry with a minor in physics from Lawrence University in 1970 and a doctorate in physical chemistry from Brown University in 1974. 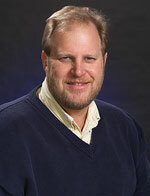 Bruce Kay is a Laboratory Fellow in PNNL's Fundamental Science Directorate. He was elected for his "innovative use of molecular beams to elucidate chemical kinetics and dynamics at environmentally-relevant aqueous and oxide interfaces." 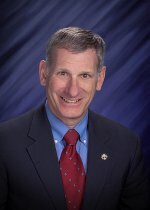 He has been with PNNL since 1991 and is also an affiliate professor of chemical engineering and of physical chemistry at the University of Washington. Kay earned a bachelor's degree in chemistry in 1976 from the University of Illinois, and a doctorate in chemical physics in 1982 from the University of Colorado. The honorees join ten current PNNL staff members previously elected as AAAS Fellows. Founded in 1848, AAAS has worked to advance science for human well-being through its projects, programs, and publications in the areas of science policy, science education and international scientific cooperation. Science magazine is the chief publication of the AAAS, reviewing and publishing many of the top research papers in the biological and physical sciences. Science was established by Thomas Edison in 1880, and has the highest paid circulation of any scientific journal in the world.